Have you been served a subpoena or been contacted by law enforcement authorities as part of an investigation into your personal or business financial activities? Do you foresee any possibility that you could be implicated or actually charged with a “white collar” crime such as fraud, forgery, or embezzlement? The time to get skilled counsel and representation is right this minute. 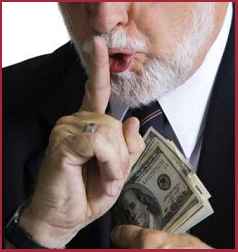 If you think you are under investigation for embezzlement, it is urgent that you speak with an attorney right away. In many cases involving embezzlement, law enforcement officials will begin their investigation into your charges before you are even aware you are under suspicion. During this investigation period, the prosecutors will have had more than ample time to build their case against you without you ever being the wiser. By immediately consulting with an experienced Southern California embezzlement lawyer as soon as you have the slightest clue that you might be under investigation, your attorney can begin conducting his own investigation and preparing a strong defense on your behalf. Moreover, in many such cases, if your attorney can get to the investigators and prosecution early enough, he may be able to negotiate for a plea bargain in exchange for not filing any formal charges. That generally means the charges will remain private, you will not go to jail, your family, friends and co-workers will never know of the mess that could have spun seriously out of control.